This beam features a 4" square x 16' long steel beam body padded with flexlink foam and covered in non slip suede. The beam working surface is approximately 23" high. The beam legs are coated in hard white acrylic paint and include non-marring rubber donute footpads. 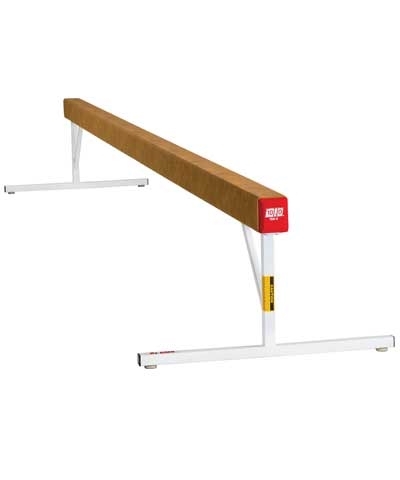 Ideal for recreation and preschool gymnastics and home use. Recommended matting-6'x15'6"x12cm (4.75") landing mat. Must ship motor freight. Please use the quote button to request shipping charges.